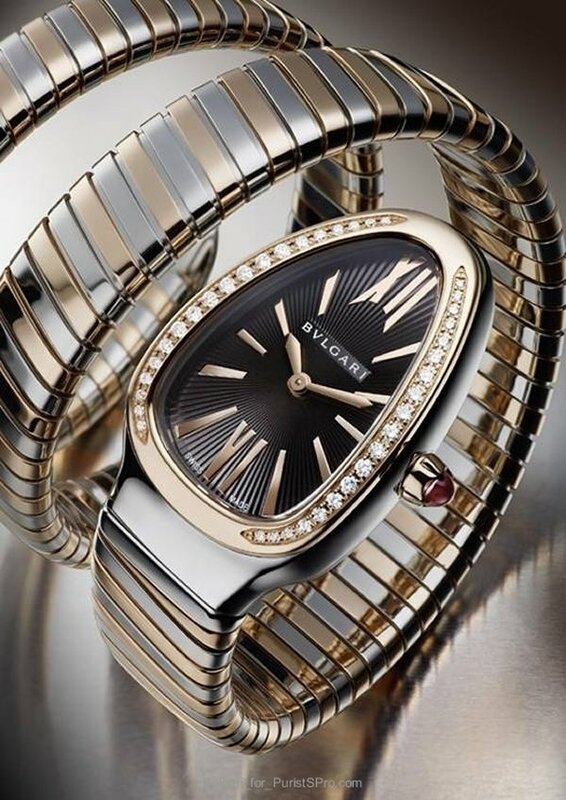 Just like the snake has, since forever, fascinated mankind, the Bulgari Serpenti, inspired by the mystique of the reptile, continues to stun stylistas and watch-freaks alike. 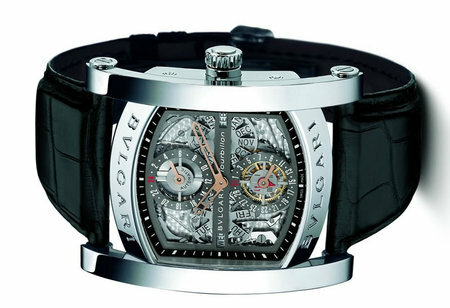 After its last serpentine forays into BaselWorld 2011 and then in 2012, the Bulgari Serpenti is back with a hiss in 2013. 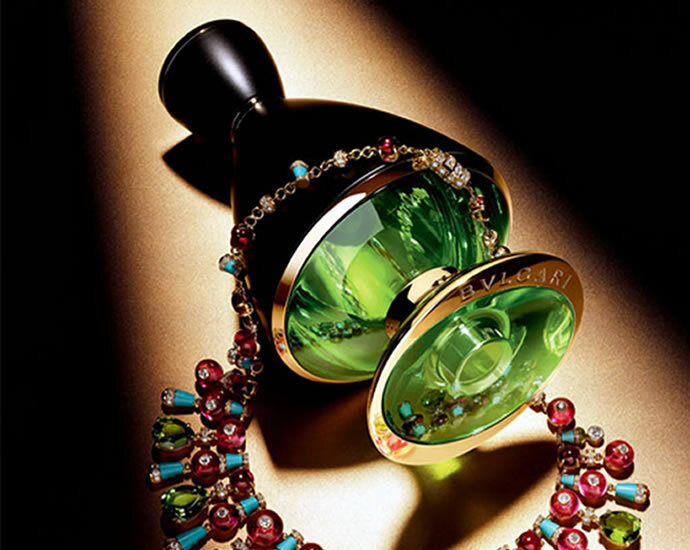 In its latest offering, Bulgari irradiates the signature-sheen of the selection with the new Bulgari Serpenti Tubogas 2013 collection. 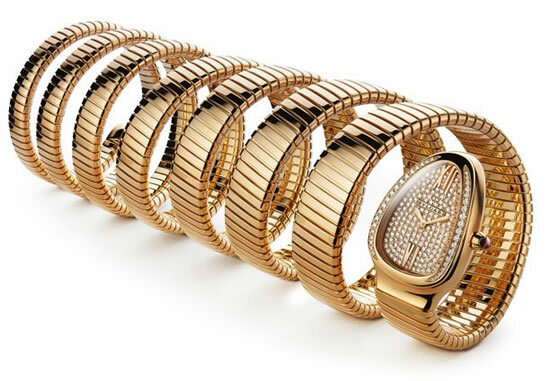 First created as necklaces, rings, bracelets and accessories, and interpreted as watches since the 1940’s, Serpenti is synonymous with eternal life and beauty. The line has stories aplenty that surround it as it surrounds the wrists that can afford to yield its adorned charm and unabridged beauty. 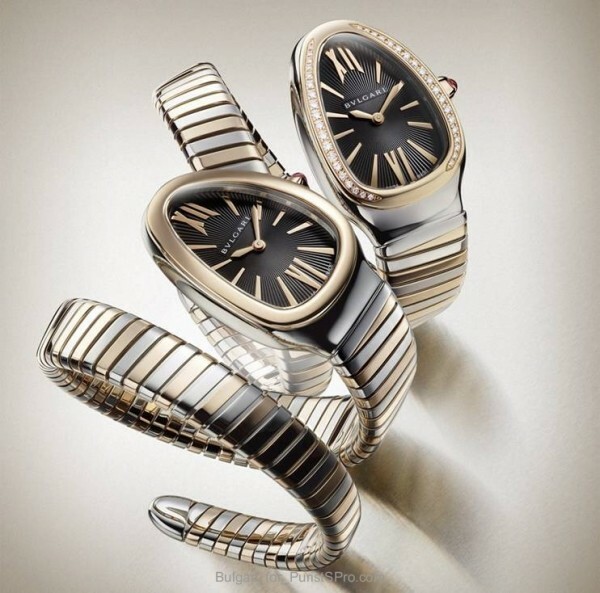 From the design’s historical connect in Cleopatra to its modern-day christening of elegance on the wrist of Elizabeth Taylor the collection’s charms are unyielding. 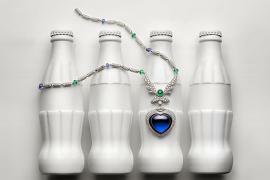 Exuding those charms is the 2013 collection, comprising of four variations, named after old-fashioned gas tubes. 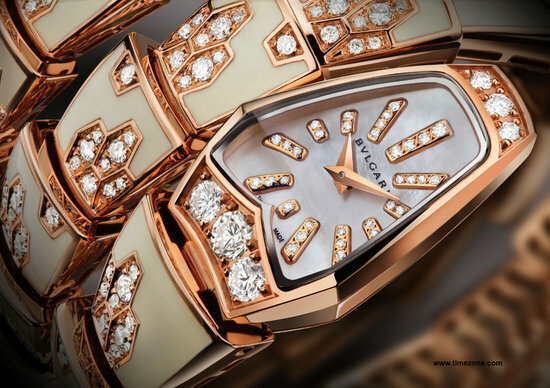 In tribute to Bulgari’s brilliance of craftsmanship accomplished in the 70’s, the latest creations feature the ‘spirotube’ or meshed-metal links, alternating steel and 18K pink gold in contemporary executions. 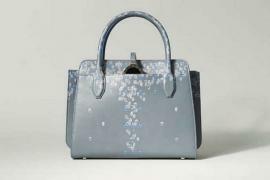 There are two-tone single or double-coil variations staging sophisticated numerals. While gilded hour-markers stand out strikingly against a sunburst guilloché opaline black dial, the crown comes set with a stunning pink cabochon-cut rubellite. 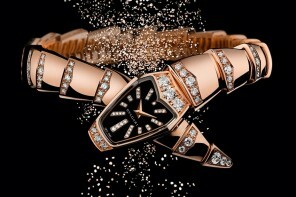 The double-coil two-tone model features a bejeweled bezel set with 38 diamonds (approx. 0.29 cts), whereas the single-coil variation comes in both gemset and non-gemset versions. 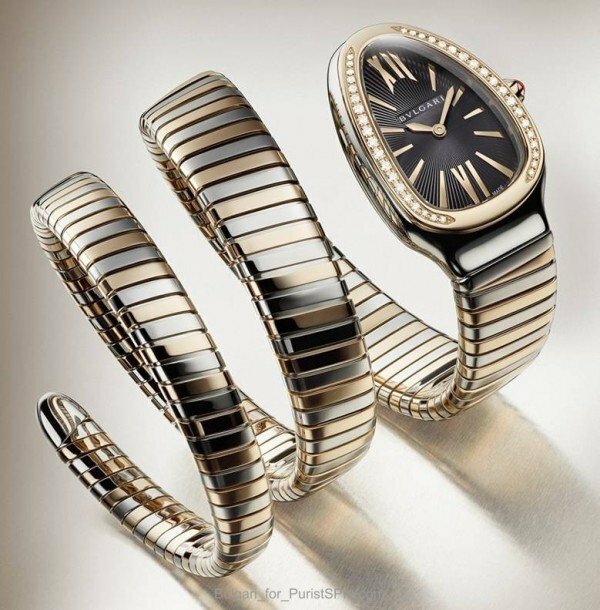 This remarkably supple timepieces from the snake-themed line flow all the way up to the forearm like (embellished) second skin. 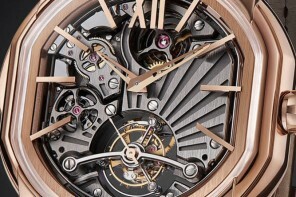 Watch less, more jewelry, Bulgari’s timeless goldsmith techniques stand markedly in the Serpenti Tubogas 2013.